Connecting with fellow passengers can make their day. And yours. BALANCING IN A TRAIN CAR aisle, I had often smiled down at children. But no child was ever as tiny or restless as the caged, bug-eyed rodent staring back one winter’s eve in 1993. Her nose twitched despite the calming hand of a portly black woman. “Who’s your friend?” I inquired. During the next three stops, I learned why the woman doted on Jenny and dreaded hospitals. But I neglected to learn her name, or that of her hospital. No name, no visit—no brains. “You did plenty,” a compassionate colleague reassured me. “You went too far,” reproved another. In his reproachful eyes, I had invaded her space. I confess: In the army of Space Invaders, I’m a five-star general. I can’t ride an elevator two floors without lobbing a pleasantry. I do it because riders invariably warm to my icebreakers, as a widow warms to a drop-in visitor, as the rider pressed at your shoulder may tingle when the breath of your nostrils warms her neck. We all need human contact. Many train riders bury themselves behind headlines or headphones. To them I say: Read. Listen. But find me one pair of lonely eyes. In a train car crammed with silent strangers, a lonely rider feels frozen out by human icicles. Until one day she finds herself seated next to a human icebreaker. Like me. Our conversations can be disarmingly intimate. 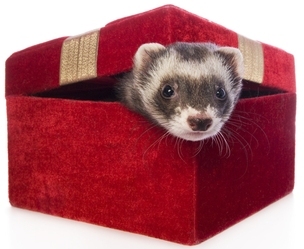 A month before meeting the ferret lady, I struck up a tête à tête with a single woman of 37. She wanted a child but had all but given up on finding Mr. Right. February 1993: Six weeks have passed since I met Jenny. I’m still cursing my dim wits for failing to visit her companion. As penance, I pass up the vacancy beside a Barbara Hershey look-alike. Instead I park beside an elderly white woman. As I compose my icebreaker, we watch three teenage boys make a ruckus. “They must want an audience,” I smile. Who is this woman? “Are you a psychologist?” I ask. “Please do.” For ten minutes, it’s 1974, and I’m once again a freshman at the University of Chicago, feasting at a banquet of professors’ pearls. Do the two kinds of anthropologist agree on schemes for classifying? What have been the century’s greatest discoveries? What discoveries do you hope to see before you—before it’s too late? The lines on her face melt away, as though bathed in Oil of Olay. My wife suspects I’m just one genetic mutation removed from Steve Urkel, the nebbishy neighbor boy on the 1990s TV series Family Matters. In the episode “Christmas is Where the Heart Is,” long-suffering Carl Winslow and Urkel are stuck on a dark subway on Christmas Eve. Urkel tries to coax the spirit of Christmas into the grumpy riders. At first, they—and Carl—want to lynch him. By the time the lights come on, they’re caroling. Far-fetched? Not to me, nor to MARTA train riders in Atlanta, Georgia. One night in 1998, after a Billy Joel concert, scores of fans were awaiting the train home. A young man pulled out a harmonica and began to play “Piano Man.” By the first chorus—“Sing us a song, you’re the Piano Man”—a trainful of voices had joined in. “Rockville Station, left door,” drones our conductor. “This is my stop,” my gray-haired friend apologizes. She shuffles to the queue that’s forming at the door. Then six cars lurch to a stop, doors swing open, a chill wind rushes in, and another hundred people are reclaimed by a city of strangers, safe from unsung songs, untold tales, and unbidden love. Posted in essays and tagged with encounters with strangers. April 28, 2013 by Paul Stregevsky.